Yesterday, Disney held a presentation at CinemaCon, the event where studios preview their upcoming films as a way to rally support among members of the movie theater industry. The studio confirmed that Pete Docter‘s 2015 film that takes place inside the human mind would be called Inside Out. Additionally, attendees were lucky to be one of the first audiences outside of Pixar to view a near-complete version of Monsters University. Given that the film is a prequel to Monsters, Inc., which starred several beloved characters, expectations are high. Based on the brief reactions from the press present in the audience, it looks like the prequel film is on the way to being another Pixar hit. Disney just screened MONSTERS UNIVERSITY in its entirety! It’s smart, funny and makes me want to rewatch MONSTERS INC immediately. Just screened all of Monsters University at CinemaCon! Funny, clever and beautifully animated: what I expect from Pixar. While Brave received some great praise last year (I really enjoyed it, too), it seemed that many were left hoping for the studio to deliver a classic after their least-critically acclaimed feature film, Cars 2. The controversy continues to brew from those wanting the animation house to concentrate their efforts on original films, a concern that has been heightened after the announcement that Andrew Stanton is developing Finding Dory. There has been a lot of external pressure placed upon Pixar to not only succeed, but to almost prove that it was not faltering. We generally tend to have short-term memories, though, as out of the three sequels the studio has produced (Toy Story 2 & 3, Cars 2), two are widely believed to be instant-classics. Also, out of the five upcoming feature films (including this year’s Monsters University), three are original concepts. 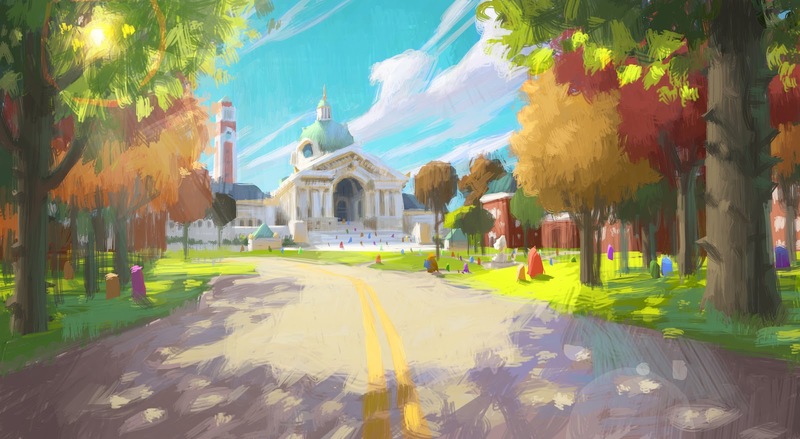 Nonetheless, because of the consistently high-quality that Pixar has been able to maintain for years, expectations for Monsters University are sky-high. We will have to wait and see, but these reactions are certainly a positive sign. Monsters University is now screening around the country for college students and faculty. Click here for a list of announced screenings. The film is scheduled for wide release on June 21.